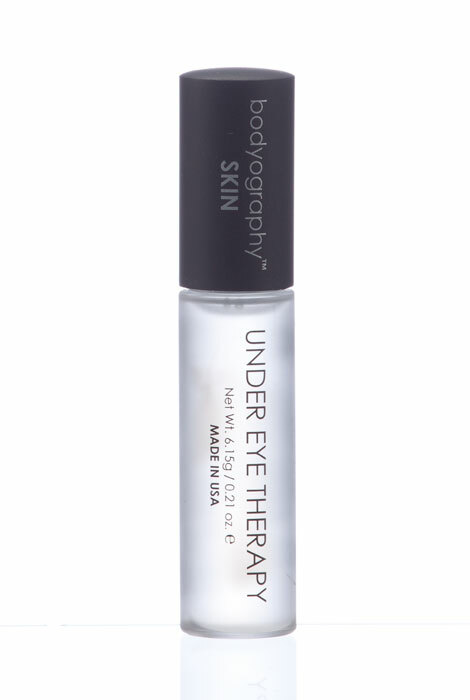 Diminishing under eye puffiness, dark circles and bags, this revolutionary Bodyography™ under eye therapy delivers on its promises ... and the beauty world is buzzing! The ultra-concentrated formula boasts maximum levels of haloxyl, the only patented ingredient scientifically proven to diminish puffiness and under eye dark circles caused by stress, fatigue or genetics. 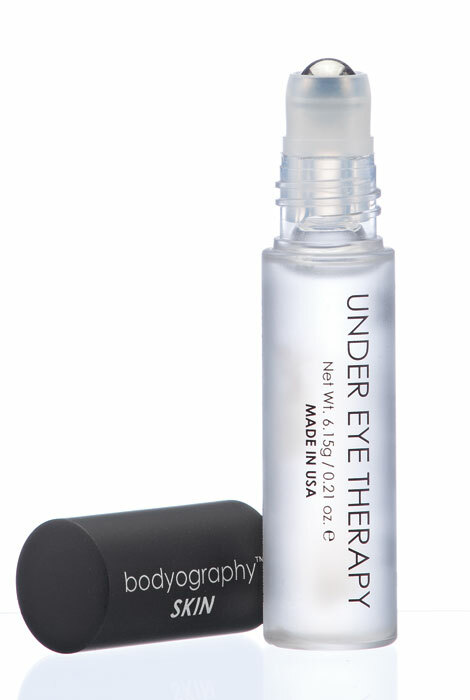 Like all premium Bodyography products, Under Eye Therapy is designed for all skin types using proven anti-aging ingredients. Cucumber and green tea extracts work to calm and soothe skin, reducing swelling while preventing collagen break down. Peptides and glycerin offer anti-aging and hydrating power, keeping the sensitive under eye area deeply moisturized. Rollerball applicator lends a cooling, calming effect and the compact bottle fits nicely in purse or carry-on, keeping you wide eyed and beautiful at home or on the road. .21 oz. Apply to dark circles morning and evening for dimished discoloration. This is an excellent product. It does remove under eye puffiness and it works quickly. I USED THIS PRODUCT AS DIRECTED. I SAW NO DIFFERENCE IN MY EYES. IT DID NOT WORK FOR ME. I deal with dark circles under my eyes. My husband has water bags under his eyes. This looked like the perfect remedy. I researched haloxyl and it's supposed to work. recently developed puffiness under eyes. Used this before and it has done wonders for my eyes. I have a droopy eyelid and it has helped to raise it. Because I am hoping this product really works well for my dark circles and puffiness. I have tried many others, and none of them work, so I am keeping my fingers crossed that this will be my miracle worker, and happiness and youth will be knocking on my door.